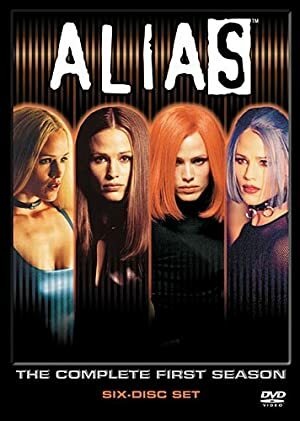 Alias was a 2001-2006 espionage/drama TV show, created by J.J. Abrams and starring Jennifer Garner as Sydney Bristow. It was quite successful and popular, reveling in a high-energy serial thriller style. As such it was packed with action, drama, plot twists, disguises, treason, fringe science elements, super-spy fights, convoluted dramatic reveals and other pop serial aspects. 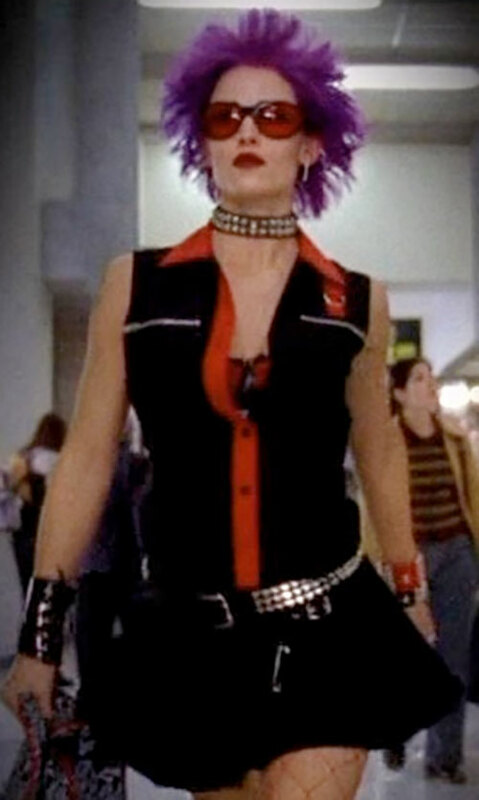 And Ms. Jennifer Garner in an endless variety of fabulous outfits and wigs, of course. Real Name: Sydney Anne Bristow. Other Aliases: Bluebird, Freelancer, Mountaineer, Phoenix, Kate Jones, Julia Thorne, Christina Myers, Claudia Maria Velasquez DeMarco, and many more. Marital Status: Married (at the end of season 5). Known Relatives: Jack (father, deceased), Irina Derevko (Laura Bristow, mother, deceased), Yekaterina “Katya” Derevko (aunt), Elena Derevko (aunt, deceased), Nadia Santos (half-sister, deceased), Michael Vaughn (Andre Micheaux, husband), Isabelle (daughter), Jack (son). Group Affiliation: APO, CIA; formerly SD-6, Covenant. Height: 5’8″ Weight: 125 lbs. Sydney is a highly experienced agent, with an extensive history of undercover work. She is extremely talented at adopting different roles, being familiar with a wide array of languages, and is very good at keeping her true feelings hidden when necessary. She has a wide array of skills applicable to her profession. She is also very physically active, and a highly trained combatant, proficient in unarmed (favouring an acrobatic, kick-boxing form of fighting) and armed combat. She’s familiar with an array of firearms, and can use most forms of melee weapons, often improvising weapons out of whatever she finds around. The fourth season’s brief title sequence, showing Sydney disguised as quite a few assumed identities. Born on April 17th, 1975, Sydney spent the first six years of her life living with her parents. Howbeit, her father’s job kept him away a lot. This changed when her mother supposedly died in a car crash. Her father, having trouble coping with the event, grew distant from Sydney. With him unable to look after her, she spent a year living with her father’s friend Arvin Sloane, and his wife Emily. After returning to her father’s care, they continued to grow apart, with Sydney mainly being taken care of by a nanny. Jack eventually realised his daughter’s unusually high intelligence and three-dimensional reasoning. Sydney solved a highly advanced indicator test that he couldn’t. Thus, he began training her in a series of intelligence training programs he had developed for the CIA. Jack intended to make her self-reliant in her later life, with no real desire for her to follow him into that life. When 19, Sydney, a bookish college freshman, was approached by a man claiming to work for the CIA, who offered her an interview, based on her profile. Initially uncertain, she eventually agreed, and was soon recruited. Taking a part-time job as an office assistant at Credit Dauphine, a bank that served as the cover for the covert operation she had been recruited to. Telling her father about her new job, he ordered her to quit it, which she refused to do, exacerbating the distance between them. After a while she was taken into the SD-6 offices below Credit Dauphine. She began training, eventually becoming a field agent for the organisation. She was told that the organisation’’s goal was the retrieval and study of intelligence, both military and industrial, throughout the world that is critical to the superiority and survival of the United States of America”. She met Arvin Sloane, not really remembering him from her youth. Sydney spent most of her time partnering with Marcus Dixon. 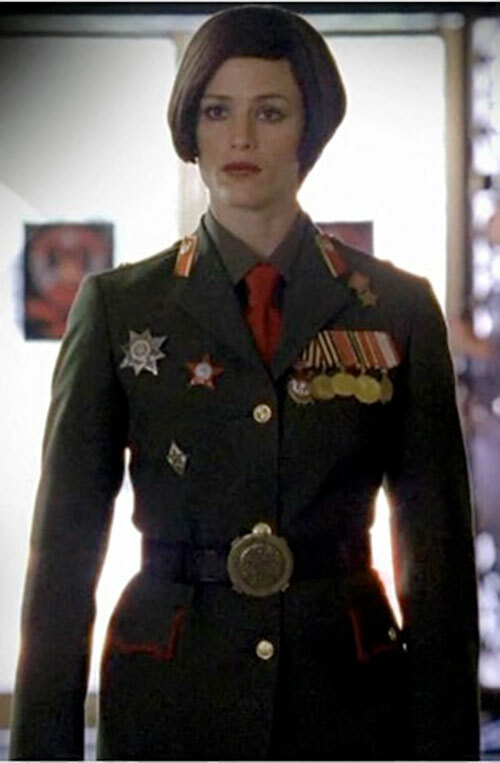 During this time she developed a mutual enmity with Anna Espinosa, an agent of the Russian K-Directorate. Outside of her work for SD-6, she continued her education, studying for a Masters in English Literature. She remained close friends with her college roommate Francie Calfo, reporter Will Tippin, and began a serious relationship with medical student, Danny Hecht, whom she moved in with. When Danny proposed to her, she agreed. Sydney decided to be honest, telling him what she really did. She took precautions when she told him, making sure that they couldn’t be heard, knowing that the SD-6 regulations took a zero tolerance to any information leaks. He was initially shaken by her admission, but eventually accepted it. She was on a mission when he came around, so he, slightly drunk at the time, left a message for her. This message made it obvious to the SD-6 security section (who maintained surveillance on the communication of all their operatives) that he knew about SD-6. Sloane, on learning of this, ordered Danny’s execution. Sydney returned home to find Danny dead in the bathtub. Avoiding SD-6 for months, she threw herself into her studies. Sloane allowed her a few months to grieve, but eventually insisted that she return to work. She refused, which resulted in her being attacked by security operatives. She was rescued by her father who suddenly appeared. Shocked by his appearance (she had no knowledge of his precious CIA affiliation, believing he worked at an airplane parts company), she was further thrown off when he explained that he also worked for SD-6. Jack said that it was actually a branch of the Alliance of Twelve, an international organized crime organisation. He arranged an escape plan to hide her from them, but she refused. Carrying out a mission on her own, she retrieved an item SD-6 had been interested in. She then took it to Sloane, telling him she was back. She then went directly to the local CIA office, where she turned herself in. Her debriefing was handled by Agent Michael Vaughn, who then became her handler. Sydney returned to SD-6 as a double agent, alongside the CIA’s existing asset in the organisation, her father. Sydney continued working as a double agent in SD-6, running counter-mission against SD-6’s operations. The operations became increasingly centred on the works of Milo Rambaldi, who had become an obsession of Sloane. They also became more involved in the operation of a freelance intelligence organisation headed by The Man. During this time, Ms. Brystow learned that her mother had actually been a KGB spy. When these matched Sydney, the joint agency task force investigating the affair took Sydney into custody. Jack, Vaughn and Weiss broke her out, allowing her the opportunity to travel to Mount Subasio, proving she wasn’t the woman identified. Despite believing she’d convinced him to drop it, her friend Will continued his investigation of Danny’s death. Manipulated by an unknown party, he learned about SD-6, and deduced that Jack worked for them. The pair prepared an operation to discover the identity of the manipulator, which led them into conflict with Sydney’s mission. Surprised to see Will, she helped him escape, along with her father. They took Will into CIA custody, worried about him being in danger from SD-6. When Will was kidnapped by Sark, an operative of The Man, Sydney, Michael and Jack travelled to Hong Kong. They took a Rambaldi device they stole from an SD-6 vault to exchange for Will. While Jack carried out the exchange, Syd and Vaughn infiltrated the organisation’s local base, where they held the larger construction the device was a component of. They managed to destroy the device, but doing so caused a flooding of the compound. Syd managed to get through a blast door before it shut, but Vaughn was caught in the flood. Before she could free him, Syd was knocked unconscious by a guard. Syd awoke a captive, and finally came face to face with The Man. It was her mother. Shot in the shoulder by her mother, Sydney is left under the supervision of the guards. But she manages to escape, meeting up with her father and Will. While the CIA searches for Vaughn, Syd has to return to SD-6 to avoid raising suspicions. On a job for them, she comes across a lab for her mother’s organisation, experimenting on human subjects. She finds Vaughn there, and frees him. Learning that her mother has a meeting with one of her subordinates, Syd is part of a CIA operation to capture her. They fail, with Weiss getting badly wounded in the process. Not long after, her mother gives herself up to CIA custody. While her mother is in CIA custody, Syd finally gets the chance to talk to her. Furthermore, Irina insists that she’ll only cooperate with them if Sydney handles her debriefings. Despite her father’s warnings not to communicate with Irina, Syd agrees to the role. When Vaughn is discovered to have been poisoned while a captive, Syd is forced to deal with Sark. In exchange for the antidote, she captures Sloane, without him knowing it was her, and hands him over to Sark.’Sark then makes a deal with Sloane, coming over to work for SD-6. After Sloane disappears, Sark lets slip mention of an unknown SD-6 server, which the CIA determine to hold general Alliance data. Retrieving the data, they discover it holds locations and current access codes for all Alliance facilities. When a witch hunt by Sloane’s replacement captures Jack, Sydney is unable to return to SD-6 to verify the data. Sydney working undercover in a club. Ms. Brystow contacts Dixon, tells him the truth about SD-6, and he agrees to check the codes. Satisfied that the data is valid, the CIA, in concert with intelligence agencies around the world, launch simultaneous raids on all Alliance facilities, bringing the organisation down. Syd arrives in time to save her father’s life. Sydney considers leaving the CIA, but is unable to do so while Sloane is still free. As a result, she becomes a full-time CIA operative. She is also finally able to have a proper relationship with Vaughn. Irina eventually manoeuvres herself free of CIA custody, teaming up with Sloane and Sark. But this arrangement doesn’t last long. 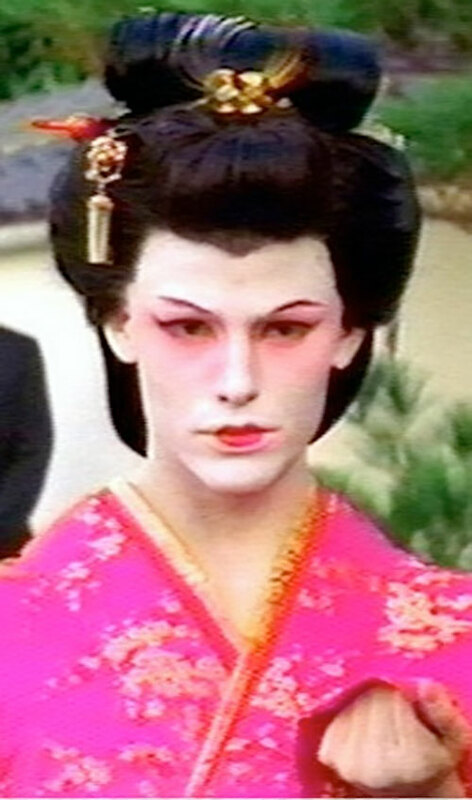 Sydney learns that Sloane had access to advanced plastic surgery techniques. Thus, suspicions rise that he has a mole placed within the CIA. She eventually realises that the double (Allison Doren) had killed and replaced her roommate Francie. The two engage in a fight that wrecks most of the house, leaving Francie apparently dead, and Sydney unconscious. Sydney and Allison are taken by agents of the Covenant, who replace them with bodies which are believed to be them when the house is burnt down. Sydney is exposed to six months of torture and brainwashing. The Covenant try to convince Ms. Brystow that she’s one of their operatives, named Julia Thorne. The training her father put her through at a young age enables her to withstand the procedures, but she play along. “Julia” pretends to be a loyal agent, even executing a complete stranger as a final test for them. When she got the chance, she contacted FBI Assistant Director Kendall. Kendall heads the joint task force she had previously been assigned to. She continued operating as a mole within the Covenant, with her survival of the fire being kept from most of her former friends. When the Covenant tasks Julia to kill Russian official, Andrian Lazarey, she contacts him beforehand, and they fake the assassination. Together they recover a Rambaldi artefact the Covenant is interested in, hiding it elsewhere. Lazarey goes underground, while Sydney, not wanting the Covenant to recover the information from her, undergoes a process that wipes her memory of her time with the Covenant. Sydney wakes in Hong Kong, not knowing how she got there. Making contact with the CIA, they sent Vaughn to collect her. He reveals that two years have passed since she was believed to have died. She learns that Vaughn is now married, and has retired from the CIA and become a teacher. Furthermore, Jack is now in prison. Sydney soon returns to working at the CIA. Dixon is now an Assistant Director, and Sloane is now a CIA asset, whose NSC liaison is Vaughn’s wife, Lauren Reed. Angry at Vaughn’s abandonment, she becomes closer friends with Weiss, who helps her readjust. Acquiring something NSC Director Lindsay, who was already suspicious of her, had been looking for, she forces him to release her father from custody. Jack Bristow is returned to his position. Sydney becomes obsessed by discovering what happened during her missing years. When Lindsay learns of the tape of Sydney killing Lazarey, he has her taken into custody. His intend is to have her exposed to intensive and dangerous surgery. She is broken out by Jack, Vaughn, Arvin and Sloane, who fake it as being a Covenant extraction. Sloane finds an experimental psychologist, who helps Sydney recover some of her memories. She is then traded back to the CIA, by which time they have proof that she hadn’t killed Lazarey. Kendall soon contacts her with a tape she made prior to her memory wipe. In the recording, she is explaining things to herself. Sydney then focuses herself on bringing down the Covenant. Following the trail of the Passenger, a Rambaldi secret the Covenant are focused on, Sydney is shocked to learn she has a half-sister, Nadia Santos. Nadia is the product of an affair between her mother and Sloane, who turns out to be the Passenger. Sydney, Jack and Sloane rescue Nadia. However, Sloane then abducts his daughter to further his search for Rambaldi lore. Sydney eventually rescues her sister, but Nadia later decides to go with her father on his search. 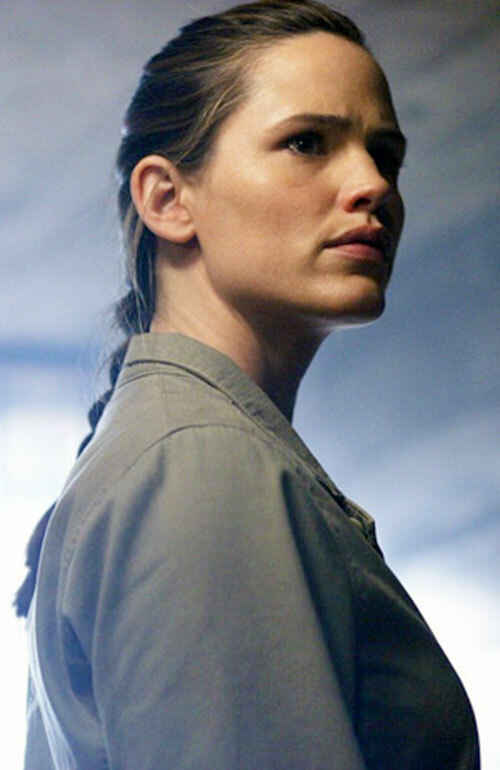 Learning that Lauren is a Covenant agent, and that she is co-head, along with Sark, of their North American operations, they play her for a while. When she realizes, she escapes, but then returns to their offices disguised as Sydney. Once in she sets explosives, disrupting their operations. When Vaughn tracks Lauren, he’s stabbed in the back by Sydney’s aunt Katya, and left for dead. Angered, Sydney hunts down Lauren, realising Katya’s untrustworthyness, and fighting Lauren. Vaughn, barely recovered, arrives in time to save Sydney, killing Lauren. Before dying, Lauren tells Sydney about a safe deposit box in Wittenburg that holds information about her. Sydney goes there, finding the documents revealing that her father was sanctioned by the CIA for, and carried out, the assassination of her mother. Estranged from her father for months, Sydney apparently resigns from the CIA after a botched mission. In reality she’s assigned to a highly secret black ops division, APO (Authorized Personnel Only), modelled on SD-6. She’s angered to find it run by Sloane, having made another deal with the CIA. Jack, Vaughn and Dixon are also part of the organisation. They soon also recruit Nadia, Marshall and Weiss. When tracking down a terrorist and assassin-for-hire, Sydney learns that he was hired by her mother to kill her. This was the reason her father killed her mother. Sydney and Jack begin to reconcile following this. She also slowly gets back together with Vaughn, and gets closer to her sister, as Nadia moves in with her. Learning that her mother is still alive, her father having killed a very believable double, Sydney, Jack and Nadia rescue Irina from imprisonment. They learned that Irina’s sister Elena, who had been the head of the Covenant, had set it all up. Elena recruits Sloane, and they activate a giant Rambaldi device above the Russian city of Sovogda. It transforms the residents who’d been exposed to the contaminated water supply into zombies, with plans of doing the same worldwide. Sydney is part of an APO unit, along with Nadia, Irina, Jack and Vaughn, sent in to try and stop them. On the way, Vaughn proposes to her. When they reach Elena’s base, Sloane turns on her, helping them get in. Having earlier been separated from Nadia, they learn that she was captured by Elena. As a result, Nadia was exposed to the water, and transformed into a zombie. Sydney has to fight her, ending up with Nadia shot by her father to save Sydney. Managing to destroy the device, Irina leaves as the others return to America with the comatose Nadia. Sydney accepts Vaughn’s proposal, and they take some time off. Driving through the Italian countryside, Vaughn comes clean with Sydney, admitting that that isn’t his real name. Before he can tell her any more, the car is struck by a van. Coming to, Sydney finds Vaughn being taken away by emergency services, until she realises they are armed. She escapes their attempt to kill them, but they get away with Vaughn. Returning to APO, she learns that Vaughn is being investigated as a traitor by CIA senior officer Gordon Dean. When Vaughn, having escaped, contacts her, she misdirects Dean, meeting up with Vaughn herself. “Vaughn” reveals that his real name is Andre Michaux. The organisation which abducted him, Prophet Five, had been the reason for his father changing their name. As a result, he’s been investigating it for years. They work to find evidence to exonerate him, during which Sydney is contacted by her doctor to be told that she’s pregnant. When they eventually find a lead, Vaughn meets with a contact, within sight of Sydney. Dean suddenly turns up with his troops, shooting Vaughn and his contact. Sydney gets Vaughn to a hospital, where he’s kept alive. When Jack gets there, he reveals that Dean was actually a former CIA operative, who was believed dead. Realising that Vaughn would remain in danger, they fake his death, keeping his survival a secret between themselves. Four months later, Sydney, her pregnancy now showing, makes contact with terrorist and assassin, Renee Rienne. Rienne had worked closely with Vaughn, their fathers having fled Prophet Five together. Renee grudgingly agrees to ally herself with Sydney, but not the CIA. When they track some of Dean’s activities to Prague, they capture Rachel Gibson, a young agent from Dean’s Shed. Questioning her, Sydney learns that Rachel had been fooled into believing she worked for the CIA, as Sydney had at SD-6. Recruiting Rachel to APO, Sydney takes her under her wing, adopting her as a protégée while her pregnancy keeps her out of the field. Rachel moves in with Sydney for a while. Dean is captured by the team, but dies in custody. By this point they’ve learned that his superiors, Prophet Five, have agents in most major intelligence agencies. They focus their resources on detecting these agents, and on bringing down Prophet Five. Three weeks before the baby is due, Sydney is kidnapped by Prophet Five. They subject her to hypnotic procedures to force her to remember details of a flowchart Vaughn had shown her when she first joined the CIA. She remembers the detail, but gives them the wrong information. She escapes their lab to find herself stranded on a freighter, where she clashes with Prophet Five agent Kelly Peyton. Sydney is overcome again. Prophet Five medical staff determine she has complications with the pregnancy, and perform surgery to correct them, saving her baby. This is due to Irina working with Prophet Five, although Sydney isn’t aware of this at the time. As she approaches her delivery time, Sydney is visited by her mother. Irina helps Sydney and Jack infiltrate a Canadian bank ahead of a Prophet Five squad. Sydney and Jack realize Irina is working with Prophet Five, but are forced to work with her when the squad arrives, led by Peyton, intending to kill her too. At this point, Sydney goes into labour. With Irina’s help with the delivery, Sydney’s daughter Isabelle is born. Irina gets away with The Horizon. A month after Isabelle’s birth, Sydney is drawn back to work when Prophet Five frees Anna Espinosa from prison. They send her to kidnap Will Tippin, demanding a Rambaldi artefact in exchange for his freedom. Sydney again battles Anna, but the encounter leaves her trapped in a rigged train car, which fills up with an unidentified liquid. Sydney escapes, saving Will, but Anna gets away with the manuscript, and the collected fluids Sydney was exposed to. Prophet Five use the fluids, along with Rambaldi’s notes, to alter Anna into an exact genetic duplicate of Sydney. Nadia wakes from her coma, free of the infection. Despite her happiness at having her sister back, Syd is worried by Jack’s concerns that Arvin may have acquired the cure by working for Prophet Five. She tries to put her reservations aside, for Nadia’s sake, but they are proved true when Nadia is found dead, and Sloane is missing. Anna uses her new appearance to get close enough to Renee Rienne to kill her. When the CIA examines Renee’s body, they recover half a chip from within her body, which has Vaughn’s real name on it. Guessing the other half must be in Vaughn, Sydney heads to Bhutan, to reunite with him. Prophet Five learn that she’s travelling there to meet with a contact, and Anna arrives to intercept her. Left for dead, Sydney survives. But by the time she reaches Vaughn’s retreat, she finds herself too late, Vaughn having left in a helicopter with the woman he believes to be Sydney. APO tracks them to where they found a bunker containing Vaughn’s father’s research on Prophet Five. This allows Sydney to arrive in time to save Vaughn by killing Anna. Sydney then impersonates Anna, infiltrating Prophet Five. She tells them she killed Sydney. She is assigned by Sloane to seek a Rose from an ancient Italian monastery, now a prison. Sloane send her to meet Sark, who arranges to have them arrested, then gains control of parts of the prison security system, allowing Sydney to explore. She finds an elderly man who identifies himself as the Rose. He gives her an amulet, but tells her that she cannot stop Prophet Five from fulfilling their plans. When Sloane appears to extract her from prison, he instead tries to kill her. Sloane believes her to be Anna and that the real Sydney is dead. Sydney survives, and escapes the prison, but Sloane escapes with the amulet. Sydney and Vaughn finally get some time together, as he finally meets his daughter, but this doesn’t last long. Having recovered enough information to help identify the members of Prophet Five, APO carried out operations around the world to acquire photos of them. But before they can act on them, Marshall and Rachel are kidnapped by Peyton and Sark. Sloane approaches Sydney while she’s out with Isabelle, and convinces her to get Marshall to help him. Marshall manages to pass a message to Sydney, which his wife Carrie is able to translate. APO manages to track Marshall’s activities locating a certain underground cavern. They then track the location they’re being held at. The team manages to free them. Sydney and Vaughn travel to Mount Subasio, where she again encounters Sloane. He shoots the ground from under her, sending her falling down a crevasse. Vaughn manages to reach her in time. Sydney, Vaughn and Jack follow Sloane’s trail to the tomb of Milo Rambaldi in Mongolia. Once there they again come into conflict with Sloane and Sark. In the ensuing battle Sydney shoots Sloane dead, sending him into a bath of the red liquid produced by the Horizon. On the other hand Jack is critically wounded, and Sark escapes with the Horizon. Learning that Sark is travelling to Hong Kong to meet up with Sloane’s partner, Sydney and Vaughn have to leave immediately, without Jack. They know that Jack won’t survive until their support arrives. They reach Hong Kong as Irina receives the Horizon, hoping to gain immortality from it. Meanwhile, Sydney’s mother has Sark activate her plan to launch nuclear missiles at Washington DC and London, while their defence systems are out of commission. While Vaughn stops Sark, Sydney confronts her mother. They fight, which ends with Irina balanced on a precarious glass skylight, forced to choose between taking Sydney’s hand or recovering the Horizon. She reaches for the Horizon, falling through the skylight to her death. Sydney and Vaughn get married, and retire to an isolated beach, where they have a son, whom they name Jack. They still occasionally return to the espionage world, when Dixon, now a Deputy Director, asks them to take on particular missions. Unless she has a reason to dislike someone, Sydney is a friendly and personable woman. She makes friends easily. She is extremely loyal to her friends, going to whatever lengths necessary to help them out. If she feels betrayed by those she’s trusted, however, she is easily angered by them, and slow to forgive. Sydney is extremely competent at adopting other personas, and compartmentalising her true feelings. For instance she spent over a year working for the man who had her fiancé murdered. She is also highly skilled at quickly improvising in the field. Parts of her personality may have been shaped by the programming her father put her through when young. In any case, this conditioning made her highly resistant to brainwashing techniques. She is certainly highly independent, being resistant to the authority of those she doesn’t have faith in. She originally joined the intelligence community out of a combination of patriotism and pride at being asked, during a time when she was a fairly bookish student. Following Danny’s death, she tried to leave for a normal existence, but was trapped in the life. Following the fall of SD-6, she was kept in the life mainly by her desire to bring Arvin Sloane to justice. A variety of reasons to stay kept coming up, until eventually she had a child, and her parent and Sloane died. Having no impetus to stay, she finally retired, and is happily raising her family. Rambaldi was forcefully recruited as an agent of Vandal Savage, but fought against this. Rambaldi used his followers to secrete his true inventions safely away, while offering his lesser discoveries to assuage Savage. This worked for a while, but eventually Savage realised he was being betrayed, and killed Rambaldi. Savage would keep searching for Rambaldi’s artefacts through the centuries, being behind some of the organisations interested in them. On a few occasions he even searched for them personally, coming into conflict with Sydney Bristow on a couple of occasions. While she did manage to escape with the artefact on their second encounter, he managed to later recover it from someone else. While he has not been bothered to hunt her down for revenge, if they should meet again, it probably wouldn’t be on friendly terms. Attractive, Expertise (Lying, Parachuting), Familiarity (SCUBA), Iron Nerves, Languages (Arabic, Czech, French, German, Hebrew, Hungarian, Italian, Japanese, Korean, Mandarin, Romanian, Russian, Spanish, Taiwanese, Urdu, Uzbek), Shtick (Make-do Equipment (Weaponry)), Paired Firearms), Sharp Eye. APO [Authorized Personnel Only] (High), Intelligence Community (Low), Michael Vaughn (High), Eric Weiss (High), Marcus Dixon (High), Marshall Flinkman (High), Rachel Gibson (High). Dependants (her children, from midway through Season 5). 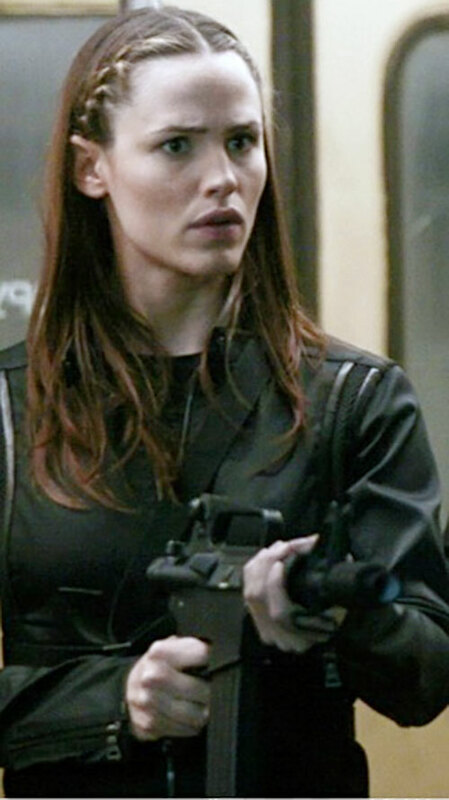 She usually has access to an array of equipment when on missions, often including an array of firearms when appropriate, covert communication devices [BODY 02, Radio Communications (Scrambled): 15, Stealth: 08], and mission-specific tech, usually designed by Marshall [6AP C Omni-Gadget]. As an agent of the CIA, Sydney has access to their resources when on missions. Sometimes her job requires that she kill those who present a threat to her country, and the CIA provide a measure of protection from legal repercussions (and loss of HP awards), so she has the Licence to Kill Advantage (found in the literary James Bond write-up on WORG). CIA contacts also allow her the Omni-Connection Advantage, along with a Low-level Connection to the CIA. She also has access to more resources than on her own, having effectively 10 APs of wealth, provided she can justify it as necessary for her mission. She has a level of authority provided by her position, along with the associated responsibilities, and so has Medium-level Government Credentials. If she goes rogue, she could expect the CIA to bring their resources to bear on trying to bring her in, giving her the Enemy Drawback. During the first 2 seasons she had the Secret Identity Drawback. During the early part of season 3, she had a SIA to discovering what had happened to her during her missing years. Wikipedia also list her as having spoken Dutch, Greek, Portuguese, Swedish, Indonesian, Cantonese, Korean, Hindi and Vietnamese. While I havent verified these, they wouldnt be unusual for her to have. 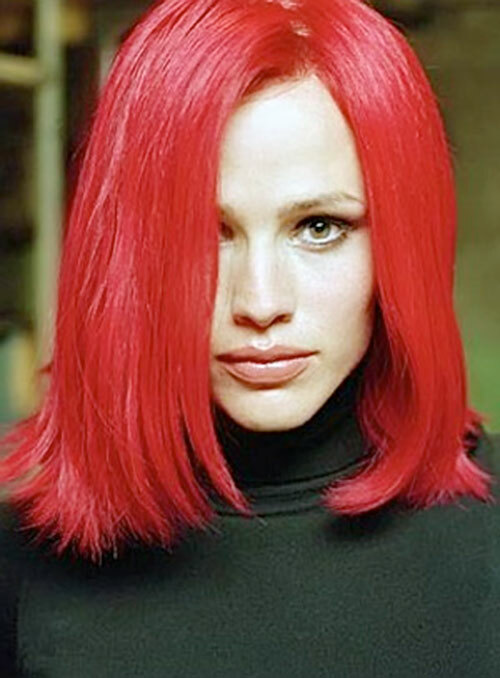 Source of Character: Alias TV series, Character played by Jennifer Garner. 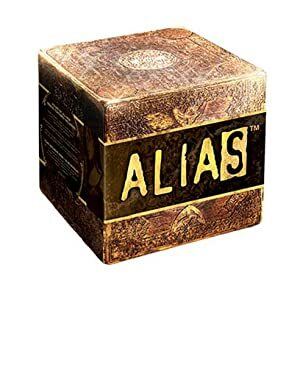 Helper(s): Alias Fannesite, wikipedia, abc.go.com/primetime/alias/profiles/cia_bristows.html (defunct), Peter S Piispanen, rtm2301, Sébastien Andrivet, KalEl el Vigilante.